Your parents are out for dinner with the Russels and have tasked you with getting the garage door closed in their absence. The fuse in the garage is broken and the motion sensor is a little temperamental so it may take a few tries, but what’s the worst that could happen? It only takes a few minutes to play through Make Sure It’s Closed and your interactions are limited to looking around and pressing the garage door button, but it’s a very creepy experience that preys on an oddly specific fear about an everyday object. 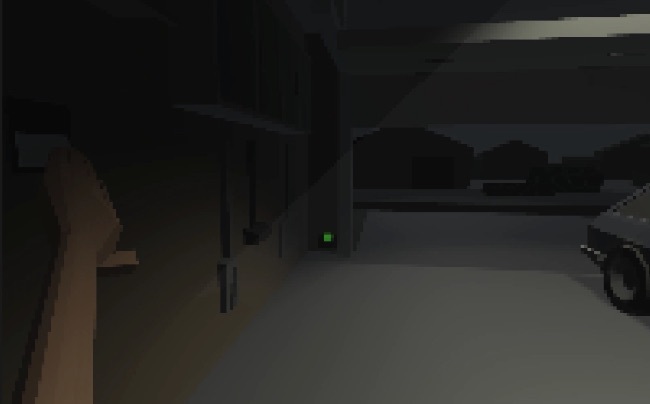 A freaky little garage door closing horror game well worth opening.